Be-Well has considerable experience in designing and manufacturing bespoke military rations and emergency rations using both wet RTE meals and light weight freeze dried food. We work closely with our customers to develop and produce the best possible rations with healthy and functional ingredients. 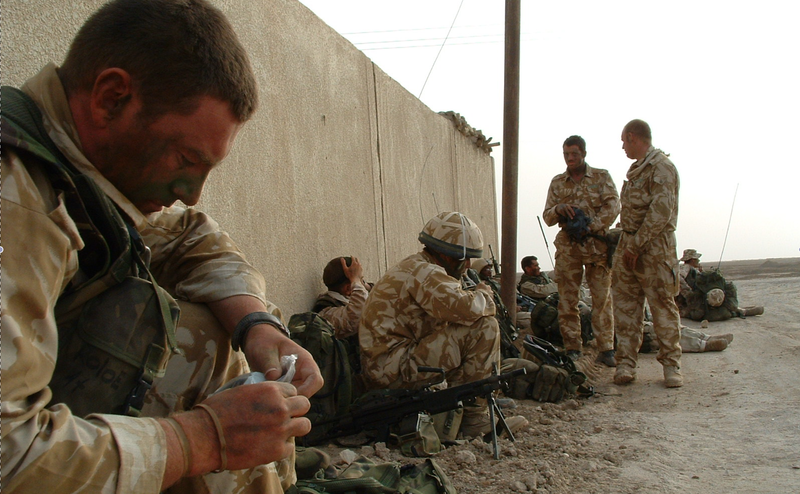 Our product portfolio includes specialist MOD rations that meet special requirements. These included rations that are Halal, Vegetarian, Gluten free and Lactose free. We recently have developed a high energy liquid food called ULTRA FUEL, a compact lightweight liquid meal that can be eaten cold and warm and that has already been named the best innovations in military specialist rations in 2014. Standard 24-hour rations delivering 3500 kcal. Extreme high energy expedition foods. Ultra lightweight 24-hour ration packs for military and special operations use. Bulk meals in support of disaster aid/relief situations. For further information plus full product specifications please contact Dave Annandale. Email: Info@be-well.co.uk or Phone: 01778 560868. Experience: Be-Well started making freeze dried ration packs in 1979 for the polar expeditions for Sir Ranulph Fiennes. Since then we have become the main supplier of light weight rations to the UK MOD and several international military and emergency organisations. Today we manufacture meals and rations for the major brands in the extreme adventure sports world and we have been able to maintain a leading position in providing military organisations with light weight, high calorie rations.